The review duo who took a $5 payoff each to buy a puppy. Rob: Our Al Pacino retrospective continues with 1973’s Serpico. Based on Peter Maas’ biography of NYPD officer Frank Serpico, Sidney Lumet’s landmark film is his first with Al Pacino (1975’s Dog Day Afternoon) and one of the most celebrated police dramas ever made. 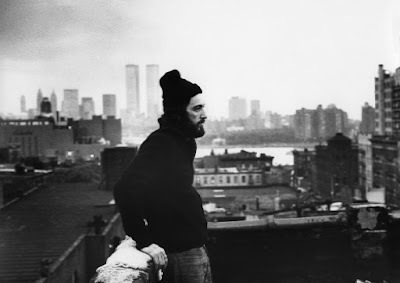 Serpico is a clean cop in a dirty town, an idealist hell-bent on reforming a broken system that doesn’t want to be fixed. The film traces Frank’s (affectionately called “Paco”) beginnings as a uniformed officer through his seasoning and eventual disillusion with a corrupt status quo that keeps paid-off cops from fixing the real problems plaguing New York’s neighborhoods. Paco is willing to pay any price for justice, and the cops and politicians in his way will do anything to get rid of him. 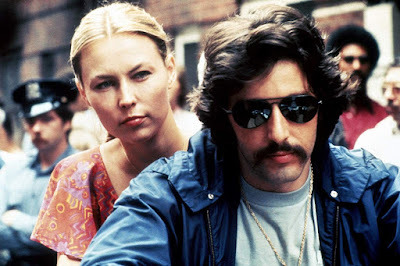 I’d only seen Serpico once before, and I thoroughly enjoyed revisiting it for this column. Pacino and Lumet were made for each other — they share an eye for realism that brings out the best in both. 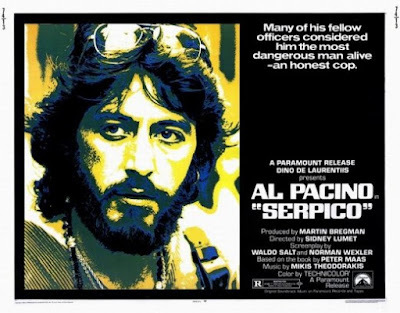 Serpico is frustrating, funny, and sad, a smart and gritty movie that reinforces the political ethos Lumet displays in other classics like Network and 12 Angry Men. Adam, before I get to my list of Everything Awesome About Al Pacino in Serpico, what did you think of the movie? Adam: This was my first viewing of Serpico. I really enjoyed it. I’m pretty behind in my Sidney Lumet viewing (this is the seventh of his movies I’ve seen after 12 Angry Men, Murder on the Orient Express, Dog Day Afternoon, Network, The Verdict and Before the Devil Knows You’re Dead) and I connect with him as a filmmaker quite a bit even if I don’t love all of the movies of his I’ve seen. I agree with you that he and Pacino make an excellent pairing, as they are both much more interested in character and theme above traditional plot mechanics. As a movie watcher that puts acting and characters paramount above all else, it’s my speed. 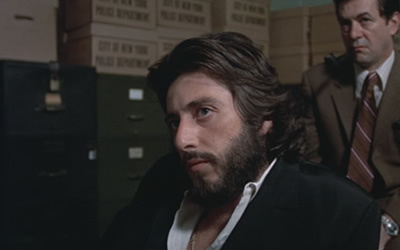 I like the natural quality of Serpico. It doesn’t feel stagey or too Hollywood. It definitely has spontaneity to it, but also scope. Pacino is terrific here. It’s nice to go back to the beginning when he was on that torrid run of The Godfather, Serpico, The Godfather Part II, Dog Day Afternoon, etc., where he established himself as an acting force for all time. Pacino brings such a great level of characterization to Serpico that it keeps things interesting. He’s never just one thing and it’s fascinating how out of place he is as a police officer despite being courageous and competent in his work. His social circles couldn’t be more different, and it’s obvious life as a detective is eating him alive but he has a compulsion (that I don’t even know if he understands) to unravel police corruption. One of my favorite parts of the movie is how hard he is to read. This is one of the points of frustration for the police officers on the take. It would be so much easier for him to quit or take the money and give it up to charity, but he is mercurial and that’s what puts him in the most danger at the end. In light of today’s political climate, I see parallels between Frank Serpico and other people pushing back today at corruption. In both cases, it shows that you needs powerful friends to back your cause and you have to be willing to go all the way yourself and not just through intermediaries. I admire what Frank Serpico did while also questioning why it was so worth it to him. That’s the mark of a good, complex film. Rob: Agreed on the “unreadable” note. This is a case where Pacino’s trademark enigmatic quality is actually used to humanize him. He’s earnest but flawed, and the movie portrays his faults honestly and without any real judgment on those who get frustrated with him. His commitment to cleaning up the streets completely sabotages his career and his personal life, and it’s easy to see why those close to him lose patience so fast. One thing I actually would have liked to have seen more developed was the family angle (his parents and brother all have a few nice moments), but I can see how similar it would be to his domestic life and why there might not have been a reason to highlight it. Al shouting, Al whispering, Al throwing perps around, Al singing, Al in funny hats, Al getting a massage, Al with a mustache, Al with a pet mouse, Al with an earring, Al using the phrase “pee pee,” Al feeding a cockatoo, Al dressed as a rabbi, Al with a puppy, Al in a leather vest, Al running through a sprinkler, Al dancing ballet, Al dancing to rock and roll, Al jumping across a rooftop, Al smoking dope, Al in the bathtub, and Al sailing to Switzerland. It’s an embarrassment of riches. It feels like this entire series has been leading to this movie. Mark Ahn. Adam: Oh, those hats. The scene with Pacino dating the ballerina or buying a puppy were wonderful. He’s such a charming performer when he wants to be or it’s called for in a scene. I was laughing for a minute straight when he’s at the party and one of his girlfriends friends mentions that she only dates brainy guys and Al basically says in the most off-hand way that she’s very perceptive. The whole party sequence is funny in how it’s edited and closes on the line “They love you Paco!” If the movie was only about Al’s adventures living in the Village, I wouldn’t be mad at it. Like, if Al Pacino was the star of a 1973 version of Friends, I would watch the hell out of that show. I can just see him yelling “WE WERE ON A BREAK!! !” I think my favorite scenes in the movie where between him and his friend, played by Tony Roberts (Annie Hall). I just think Tony Roberts is cool. I would want to be friends with him. I love when Roberts’ makes fun of Pacino and calls him a hippie. Question for you: if you were in Serpico’s shoes, what would you have done? No judgment. Be honest. Rob: Some intrepid Reserved Seating reader needs to photoshop Al into the opening of Friends. I’ll pay good money. I love his insistence that “if you love a man’s garden, you have to love the man,” as if that’s a thing anyone has ever said. There are three guys on the planet who could make that line work, and Al is all three of them. I also have a weird affinity for Tony Roberts. I kept waiting for him to call Paco “Max.” As to your question, the realist in me says that I’d probably either have taken the money and not spent it (and gotten rid of it somehow) or just quit the police force. There’s no way in hell I’d do what Paco did, though. You? 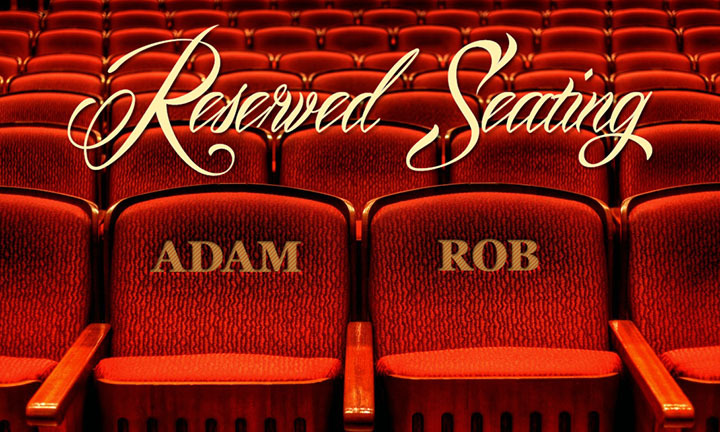 Rob: Haha, yeah that might have diluted the message a little, but I see your point. Along the lines of what you’re talking about, I appreciated the way the film characterized the various levels of adversaries in terms of their typical response to an “issue” like Serpico. The highest-ups claim to “vaguely remember” Serpico but respond with real action only when outside pressures are applied. The mid-level managers look for ways to discredit him (like Lieutenant Mr. Strickland accusing him of homosexuality). It’s the street-level guys who put the most pressure on him, which makes sense because they have the most to lose. I also love that the film accurately portrays Serpico’s paranoia and vulnerability without resorting to jump scares or similar techniques that would break the reality (I’m thinking of the basement scene in Zodiac which, while I think that movie is a masterpiece, never quite worked for me). I love that we don’t need to be told why no one helps Serpico push the door open in the incident that results in his shooting; we understand exactly what’s going on and why his partners aren’t helping because it’s foreshadowed earlier. Lumet’s tone is so spot-on here, and I keep marveling at it. 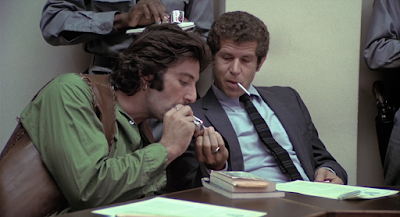 This isn’t an angry or didactic movie; the crooked cops are even a bit sympathetic (there’s that bit with the cop who tells Serpico how much his daughter’s schooling costs) while still being the villains. Serpico starts the film alone and ends it the same way. The hard reality of the whole thing is what really sells it. Man, this is a good one. Adam: Yep, a big Mark Ahn for me for this one. It’s my new favorite thus far of our Pacino series. Did you listen to his Maltin on Movies episode yet or watch Paterno on HBO? I’m thinking of re-subscribing to HBO for a month to watch that and the Andre the Giant documentary. Which baseball movie you feel like covering next week? Also, sorry Gabe Kapler is the worst manager in the history of baseball. Rob: He’s having some...growing pains, that’s for sure, but last night’s 20-1 win over Miami softened things a bit. I haven’t listened to the episode yet, but I’ll do it ASAP and maybe even hit Paterno up, as well. Penn State is kind of a delicate subject around my parts, so it’ll be interesting to see how the whole deal is portrayed. I think it’s your turn to pick the baseball movie, bud. Adam: Well since April 15th is the anniversary of Jackie Robinson’s first MLB game let’s watch a movie I’ve never seen but always wanted to: 1950’s The Jackie Robinson Story. "I like the natural quality of Serpico. It doesn’t feel stagey or too Hollywood. It definitely has spontaneity to it, but also scope." This is a great summation of why I respond to New Hollywood films so much. Spontaneity + scope. For my completely subjective money, the 70s were the greatest decade for American film.